Alcoa Presents: One Step Beyond (known simply as One Step Beyond in syndication) was an anthology that explored the paranormal, focusing on events that seemed to defy rational explanation. Over the course of its run, various episodes of One Step Beyond featured such things as premonitions, clairvoyance, ghosts, astral projection, parallel universes, and so on. While Alcoa Presents: One Step Beyond covered some rather fantastic subject matter, the episodes were claimed to be based on true events. Alcoa Presents: One Step Beyond was the creation of writer Merwyn Gerard. Mr. Gerard had a long career in radio, having written for such shows as The Whistler, Suspense, Escape, and Night Beat, before moving into television where he wrote episodes of such programmes as Robert Montgomery Presents and M Squad. Mr. Gerard's original idea was that of an imaginative anthology that would rotate each week between fantasy, horror, tales of the paranormal, and science fiction. Originally titled Imagination, it was later retitled Fantasy. Merwyn Gerard brought Collier Young in as the line producer on the show. Mr. Young had been married to director and film star Ida Lupino, and had worked with her on such films as Never Fear (1949), Outrage (1950), Hard, Fast, and Beautiful (1951), and The Bigamist (1953). On television he had created the show Mr. Adams and Eve. He also brought Larry Marcus onto the show as a writer. Mr. Marcus had written on such films as The Red Dress (1954) and Witness for the Prosecution (1957) and for such TV shows as Four Star Playhouse, M Squad, and Wagon Train. As a director on the show and its host Merwyn Gerard brought in John Newland. As a director Mr. Newland had directed episodes of Robert Montgomery Presents, The Thin Man, and The Loretta Young Show, as well as the films That Night (1957) and The Violators (1957). As an actor he had appeared in the films and on such TV shows as Studio One, Philco-Goodyear Playhouse, Lights Out, Tales of Tomorrow, Kraft Theatre, and Robert Montgomery Presents. In the end Messrs. Gerard, Young, Marcus, and Newland disposed of the idea of a show that would rotate between fantasy, horror, the paranormal, and science fiction. Quite simply, there had already been horror anthologies (Lights Out) and science fiction anthologies (Tales of Tomorrow), and they wanted to do something that had never been done. Given that except for the short lived quiz programme E.S.P. (hosted by Vincent Price) there had been no programme focused on psychic phenomena, the four of them decided they would produce a show that centred on paranormal events. They further decided that their prospective show would be based on fact. That is, each episode would be based on something that had actually happened. The episodes then unfolded as docu-dramas, with John Newland offering evidence as to the events portrayed in the episodes at their end. This naturally set One Step Beyond apart from the horror and science fiction anthologies that had preceded it. The pilot for One Step Beyond, "The Bride Possessed," was written by Merwyn Gerard and directed by John Newland. It cost $30,000, a respectable amount for a television pilot at the time. Once the pilot was completed, the production team set about trying to sell it to a sponsor. In the end aluminium producer Alcoa Inc. agreed to sponsor the show for an entire season. As a result it would receive the name it would bear throughout its network run, Alcoa Presents: One Step Beyond. Alcoa was one of the major television sponsors of the era, and had already sponsored The Alcoa Hour (which ran from 1955 to 1957) and Alcoa Theatre, whose run overlapped with One Step Beyond (Alcoa Theatre ran from 1957 to 1960). Ultimately Alcoa Presents: One Step Beyond would prove moderately successful. It debuted on 20 January 1959 and ran for a total of 95 episodes (nearly three seasons) until 4 July 1961. 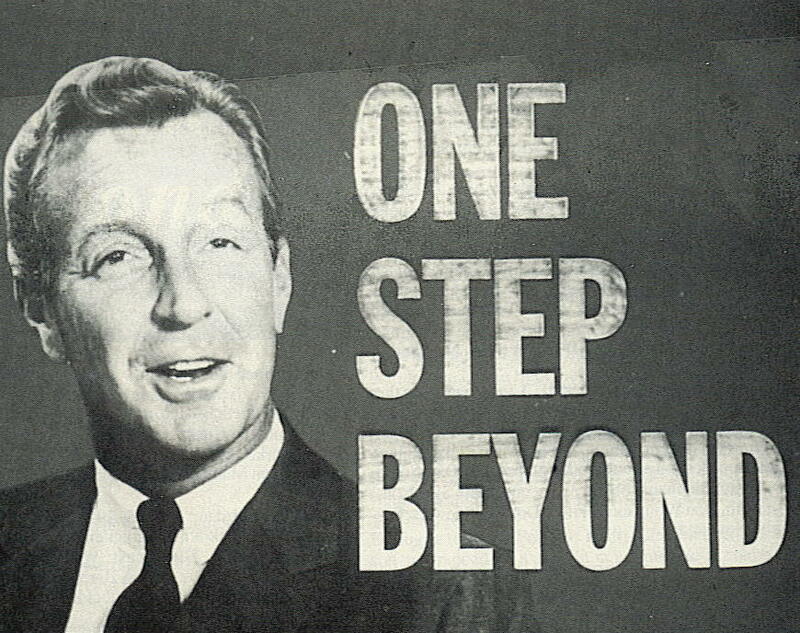 Following its initial network run, reruns of One Step Beyond would be syndicated until well into the Eighties. In fact, it proved to be successful enough in syndication that a new version, The Next Step Beyond, was produced for first run syndication in 1978. Unfortunately, it would not prove as successful as the original, only running for one season (25 episodes). As to the original series, it would be run on the Sci-Fi Channel in the Nineties and has since been released on DVD. In many ways One Step Beyond was a pioneering television show. It as the first scripted series to deal with the paranormal. It was the forerunner of such shows as The Sixth Sense, The X-Files, Medium, The Ghost Whisperer, and Haven. Indeed, in some respects it could even be considered an indirect ancestor of various reality shows dealing with the paranormal that filled cable channels in the Naughts. Today when people think of fantastic situation comedies in which an ordinary person is living with someone with extraordinary powers, they are inclined to think of the Sixties. After all, that was the decade when such fantastic comedies as My Favourite Martian, Bewitched, and I Dream of Jeannie aired. The first such show, however, aired in the Fifties. This pioneering sitcom was based on both a classic book and a soon to be classic series of films. The novel Topper by Thorne Smith was first published in 1926 and proved to be a best seller. In fact, it was so successful that Thorne Smith wrote a sequel, Topper Takes a Trip (1932). Topper would be adapted into the classic 1937 film of the same name starring Cary Grant, Constance Bennett, and Roland Young. The film version of Topper proved so successful that it would be followed by two sequels: Topper Takes a Trip (1938) and Topper Returns (1941). A radio show would follow; The Adventures of Topper, once more starring Roland Young in the title role, aired as a summer replacement series on NBC in 1945. Given the success of Topper in various media, it was quite natural then that in 1953 producers Bernard L. Schubert and John W. Loveton, who had already seen some success on the small screen with Mr. and Mrs. North, acquired the television rights to Topper. Thorne Smith's novel centred on an uptight banker, Cosmo Topper, who finds himself haunted by a husband and wife team of ghosts, Marion and George Kerby, who take it upon themselves to liven Topper's life up. Both the 1937 film version and the 1945 radio show followed this same format, as would the television show. Screen actors Anne Jeffreys and Robert Sterling, who were married in real life, had a successful night club act in 1952 and, as a result, were cast in the role of the Kerbys. Leo G. Carroll, who had appeared in such films as A Christmas Carol (1938), Wuthering Heights (1939), and many Alfred Hitchcock films (everything from Rebecca to North by Northwest), was cast as Cosmo Topper and Lee Patrick, who had appeared in such films as The Maltese Falcon (1941) and Now, Voyager (1942) was cast as his wife Henrietta. A character who appeared in neither the novels nor the films was added to the television series, that of the St. Bernard Neil, a ghostly dog who had died with the Kerbys. For the television series the antics of the fun loving Kerbys were toned down a bit from the novels and even the films, although it was still clear that the couple enjoyed having a good time. Even in death the Kerbys continued to enjoy good food, good drink and smoking, and they still endeavoured to brighten Cosmo Topper's previously drab existence. As might be expected, the majority of the plots of Topper involved the Kerbys getting Topper in and out of trouble. Topper was then the direct forerunner of such imaginative sitcoms as My Favourite Martian, Bewitched, and I Dream of Jeannie, in which an ordinary person's life is complicated by a supernatural being living with them. Among the writers who contributed scripts to the show was a young Stephen Sondheim, who wrote eleven episodes for the show, including the pilot. Topper debuted on CBS on 9 October 1953. Not only did it receive sterling reviews from critics, but it also proved to be a hit with viewers. The show was still receiving excellent ratings in its second season when it abruptly came to a halt. Quite simply, Camel cigarettes decided that it did not want to pay for a third season of Topper. This left Topper with only one sponsor, General Foods. Because Camel had decided to no longer sponsor Topper, the show ended its run after its second season. The show ended its run on 15 July 1955 with a total of 78 episodes. ABC would air reruns of Topper later that same year and then NBC would air repeats of the show in 1956. Afterwards it went onto a highly successful syndication run. A pilot for a new Topper series was aired on ABC in 1979, with Kate Jackson and Andrew Stevens as the Kerbys and Jack Warden as Cosmo Topper, but it failed to sell. Those of you who have read this blog for years know that I have a tradition of posting a week's worth of post related to the holiday prior to Halloween. This year I have planned posts on the horror pulp magazines, the classic film Peeping Tom (I don't care what anyone says, having seen it many times I still say it is a horror film), and a few other surprises. To start things off, here is a video I found on YouTube. It's Bobby "Boris" Pickett performing "Monster Mash" on American Bandstand in October 1964. I have already written about "Monster Mash" elsewhere, so without further ado I will leave you with the video! John J. Lloyd, who did production design for TV shows from Alfred Hitchcock Presents to Emergency as as well as for films by both John Carpenter and John Landis, died on 20 September 2014 at the age of 92. John J. Lloyd was born in 1922 in Dearborn, Michigan. In the mid-Twenties his family moved to Raymond, California. Later they moved to Culver City, California. Both his father and uncle worked for MGM. During World War II Mr. Lloyd served in the United States Navy. Following the war he attended the Chouinard Art Institute in Los Angeles. His first work as an art director came on the television show Lux Video Theatre in 1950. He later went to work for Revue Studios the television production subsidiary of the powerful agency MCA. 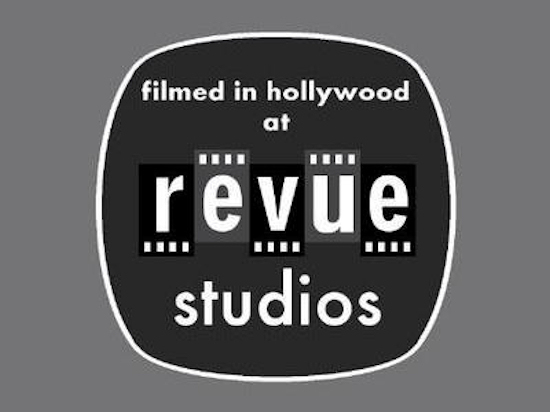 In the Fifties at Revue he worked on such shows as Studio 57, Wagon Train, Suspicion, The Millionaire, Mike Hammer, M Squad, The Jack Benny Programme,and Leave It to Beaver. He worked a good deal on Alfred Hitchcock Presents and Checkmate, serving as the show's art director for much of their runs. In the Sixties John J. Lloyd served as art director on such shows as G.E. Theatre, Thriller, The Tall Man, Wide Country, The Munsters, and The Bold Ones. He worked on such TV movies as The Hanged Man (1964), Memorandum for a Spy (1965), and Code Name: Heraclitus (1967). The first feature film upon which he worked was Munster, Go Home! (1966). He also worked on the films Sergeant Ryker (1968), The Counterfeit Killer (1968), The Hell with Heroes (1968), Winning (1969), and Colossus: The Forbin Project (1970). With the Seventies John J. Lloyd began to work increasingly in film. He worked on such films as How to Frame a Figg (1971), At Long Last Love (1975), The Day of the Locust (1975), MacArthur (1977), Animal House (1978), The Prisoner of Zenda (1979), and The Blues Brothers (1980). He continued to work in television for much of the decade, working on such shows as Columbo, McMillan & Wife, Emergency, and Ellery Queen. He also worked on such TV movies as Vanished, The Longest Night, Deliver Us from Evil, and Fear on Trial. In the Eighties Mr. Lloyd worked on such films as Raggedy Man (1981), John Carpenter's The Thing (1982), D.C. Cab (1983), Crackers (1984), Maxie (1985), Big Trouble in Little China (1986), The Naked Gun: From the Files of Police Squad! (1988), and Crazy People (1990). His last work was on The Naked Gun 2½: The Smell of Fear (1991). John J. Lloyd was one of the best production designers to ever work in television. Indeed, he was nominated for several Emmy awards (including his work on Alfred Hitchcock Presents) and won for his work on the TV show Checkmate and his work on the TV movie It Happened One Christmas. He was also largely responsible for establishing the look of many shows from Revue and its successor Universal Television, including The Munsters, Columbo, and Emergency. It was John J. Lloyd who designed the rather impressive staircase on The Munsters. Of course, Mr. Lloyd also worked extensively in film. He was not nominated for any awards for any of his work in the movies, although he really should have been. Indeed, his work on both John Carpenter's The Thing and Big Trouble in Little China was particularly impressive. Here it must be pointed out that Mr. Lloyd also had a gift for capturing the era portrayed in a film perfectly, doing so in both MacArthur and Animal House. John J. Lloyd had a real talent for production design, and it showed in everything he did. Gerard Parkes, who appeared on the 1960s Canadian show The Forest Rangers, starred on the Eighties Canadian show Home Fires, and played Doc on Fraggle Rock, died 19 October 2014 at the age of 90. Gerard Parkes was born on 16 October 1924 in Dublin, Ireland. He trained at the Abbey Theatre in Dublin and appeared on stage in his native Ireland before immigrating to Canada in 1956. Mr. Parkes started his career with CBC Radio in 1958. He made his television debut on an episode of Encounter in 1960. He made his film debut in David Thompson: The Great Mapmaker in 1964. In the Sixties Gerard Parkes had a recurring role on the Canadian family show The Forest Rangers and he was a regular on the fantasy shows Barney Boomer and Upside Town/Swingaround. He guest starred on the shows Seaway, Adventures in Rainbow Country, and Play for Today. He appeared in the films A Great Big Thing (1968), Isabel (1968), and The First Time (1969). In the Seventies Gerard Parkes appeared in the mini-series The National Dream: Building the Impossible Railway He began playing the regular role of Doc Lowe on Home Fires in 1980, a role he would continue to play into the early Eighties. He guest starred on the shows King of Kensington and A Gift to Last. He appeared in such TV movies as Bethune and An American Christmas Carol, He appeared in the films Fleur bleue (1971), The Pyx (1973), Running Time (1974), Second Wind (1976), and Who Has Seen the Wind (1977). In the Eighties Gerard Parkes appeared as eccentric inventor Doc on Fraggle Rock. He was the only human regular on the show. He also appeared as Doc in the television special A Muppet Family Christmas in 1987. He guest starred on such shows as The Littlest Hobo, Cagney & Lacey, Night Heat, Today's Special, The Twilight Zone, War of the Worlds, Friday the 13th: the Series, and Ray Bradbury Theatre. He appeared in the films Yesterday (1981), Spasms (1983), La ligne de chaleur (1987), Short Circuit 2 (1988), The Gunrunner (1989), Speaking Parts (1989), and The Last Winter (1989). In the Nineties Gerard Parkes had a recurring role on Shining Time Station. He appeared on the mini-series Storm of the Century. He appeared in the films Money (1991), The Adjuster (1991), Trapped in Paradise (1994), It Takes Two (1995), Mother Night (1996), The Boondock Saints (1999), and Deeply (2000). In the Naughts Mr. Parkes appeared in the films Moss (2004), Saint Ralph (2004), and The Boondock Saints II: All Saints Day (2009). While Gerard Parkes spent much his career playing physicians or priests, he was a very versatile actor. This can be proven by looking at two of his better known roles, both of which were named "Doc" (and neither of which was a physician or priest). 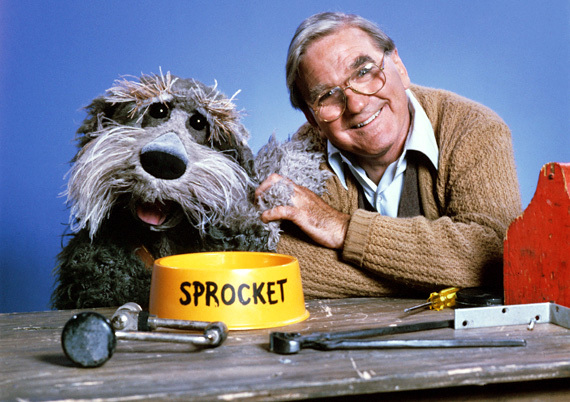 Doc on Fraggle Rock was an eccentric inventor whose inventions were usually of the Rube Goldberg sort. Doc in both The Boondock Saints and its sequel was the owner of McGinty's bar in Boston. He had Tourette's Syndrome and was as a result prone to spouting obscenities at any given moment. The two Docs were about as different as can be, and yet Gerard Parkes played both excellently. He also gave a fine performance as the dotard, if slightly creepy Uncle Matthew in Isabel, for which he won the Gemini award for Best Performance by a Lead Actor. Although he is perhaps best known as Doc on Fraggle Rock, Gerard Parkes played a number of different roles in his career and did well in all of them. If you are a fan of musicals and a fan of dance in particular, then you probably know who the Nicholas Brothers are. The Nicholas Brothers were Fayard and Harold Nicholas who together made perhaps the most spectacular dance team ever on the silver screen. The Nicholas Brothers combined tap dancing with acrobatics and even ballet to create some of the most incredible dance routines of all time. Fayard Nicholas was born 100 years ago today. 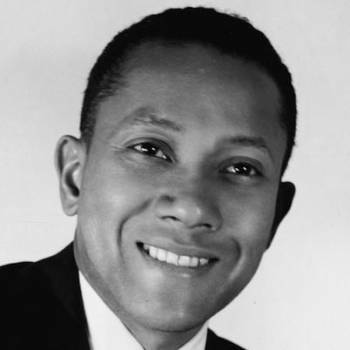 Fayard Nicholas was born on 20 October 1914 in Mobile, Alabama. His mother, Viola, was a classically trained pianist. His father, Ulysses, was a drummer. Both had college educations. They played in bands in vaudeville, forming their own band called the Nicholas Collegians in the Twenties. Nearly from birth, then, Fayard Nicholas was exposed to musicians and vaudeville performers. Fayard would be followed by two more siblings, his sister Dorothy and his brother Harold. Surprisingly enough, none of the Nicholas children had any formal training in dance or singing. By watching the performers on stage Fayard taught himself both how to sing and how to dance. He then taught his younger siblings, Dorothy and Harold, how to sing and dance as well. The Nicholas family eventually settled in Philadelphia. Eventually Nicholas formed a dance team with Dorothy known as the Nicholas Kids. Harold later joined the dance team. Dorothy eventually left the act, whereupon they became the Nicholas Brothers. The Nicholas Brothers soon made a name for themselves. They made their debut on radio on The Horn and Hardart Children's Hour, which aired on n WCAU in Philadelphia, Afterwards they performed at such local theatres as the Standard and the Pearl. It was in 1932, when Fayard was 18 and Harold was 7, that the Nicholas Brothers made their debut at the Cotton Club in Harlem in New York City. They would perform at the Cotton Club for two years. It was also in 1932 that they made their debut on film, in the short "Pie Pie Blackbird" with Eubie Blake and his band. Over the next few years the Nicholas Brothers would be very much in demand. They appeared as a dance speciality act in such films as Kid Millions (1934), The Big Broadcast of 1936 (1935), Babes in Arms (1937), and Down Argentine Way (1940). They made their debut on Broadway in the Ziegfeld Follies of 1936. In 1937 on Broadway they appeared in Rodgers and Hart's Babes in Arms. The Nicholas Brothers did not slow down in the Forties. They toured England, Europe, Latin America, and Africa. It was in 1948 that they gave a Royal Command Performance for King George VI at the London Palladium. The Nicholas Brothers would also perform for many Presidents of the United States. They also continued to appear as a speciality act on film, appearing in such movies as The Great American Broadcast (1941), Sun Valley Serenade (1941), Orchestra Wives (1942), Stormy Weather (1943), and The Pirate (1948). In the Fifties the Nicholas Brothers appeared in several movies made in Europe. They would later teach tap dancing at both Harvard University and Radcliffe College. Fayard appeared in the films The Liberation of L.B. Jones (1970) and Hard Four (2007), as well as a Bob Hope special in 1971. In a different time and place the Nicholas Brothers could have been stars on the level of Gene Kelly or Fred Astaire. Both Fayard and Harold Nicholas were gifted with good voices and they were both handsome men. More importantly, they might well have been the greatest tap dancers of all time. Either Fayard and Harold could give Gene Kelly or Fred Astaire a run for their money. Had opportunities for African Americans in the Thirties and Forties been greater, it is not hard to imagine that Fayard and Harold Nicholas could have been major movie stars. For those of you who have never seen The Nicholas Brothers in action, here is proof of their talent. This is their "Jumpin' Jive" sequence from the movie Stormy Weather. No less than Fred Astaire thought that it was the greatest dance sequence ever filmed.